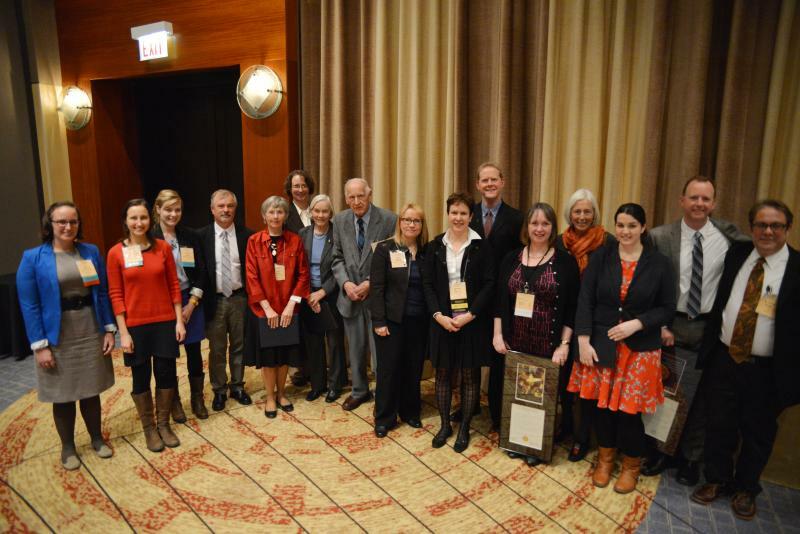 The Archaeological Institute of America is pleased to announce our 2015 Award Winners. For his work in the field at Troy, the Granicus River Valley Survey Project, and Gordion; his visionary and energetic efforts to provide cultural heritage training to the members of the US military serving in Iraq and Afghanistan; and his highly influential role as an educator, formerly at University of Cincinnati and now at University of Pennsylvania. For his influence on the field of archaeological science, including his research that has revolutionized our understanding of the European Mesolithic, the transition to agriculture, and human migration throughout the world. For her 25 years of dedication to AIA National and the AIA New Orleans Society, including her invaluable assistance each time the AIA Annual Meeting has been in New Orleans (1992, 2013, and 2015). For her book’s insightful interpretation of the material evidence in a series of thematic chapters, such as drinking and eating, dealing with the dead, and worship, and the book’s focus on a new theoretical lens of authority and autonomy to address core issues on Persian control in Anatolia. For his book’s exemplary example of how archaeology can be used to support modern historical and ethnological research. For over thirty years of dedicated teaching, bringing the immediacy of new ideas and discoveries directly into the classroom and instilling in her students a passion for original research. For her groundbreaking efforts to transform the field of objects conservation into a science-based discipline and over four decades of teaching, mentoring, and inspiring hundreds of students from around the world. For the initiatives developed to stabilize, conserve, and protect the monumental temple and its precinct; rehabilitate the surrounding landscape; develop and implement a comprehensive presentation strategy for the temple and its environs; publish the data derived from both the original excavation and the new project; develop guidelines and manuals for different aspects of cultural resource management work; and build local capacity for undertaking CRM efforts. For his extraordinary work in protecting world heritage and artifacts sacred to the San Carlos Apache and Hopi tribes. For its work on open access material relation to the ancient world, serving archaeological information to more than 1.1 million unique visitors to the site since its inception in 2009. For his paper, which delivered significant insights regarding trade in the Middle Bronze Age Aegean, and his poise during the question and answer session following the paper. Please join us in honoring these award winners at the Awards Ceremony on Friday, January 9, 2015 at 5:30 pm during the Annual Meeting in New Orleans, LA.